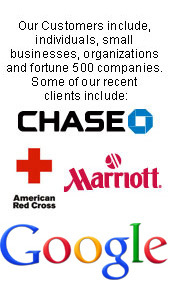 as low as $5.06 ea. 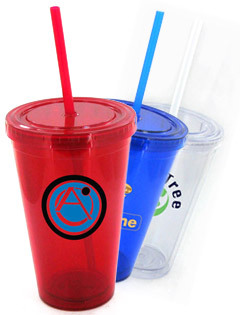 as low as $5.33 ea. 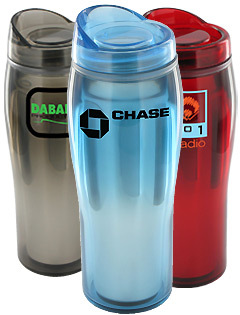 Custom Travel Mugs, Factory Direct make great corporate giveaways and items for your advertising logo. 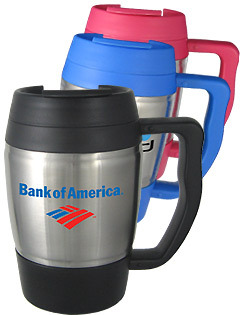 Our Customized Travel Mugs are all BPA Free and of the highest quality. 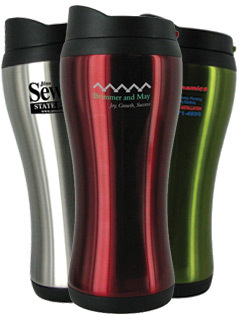 Travel Mugs with your custom imprint also make unique appreciation gifts. 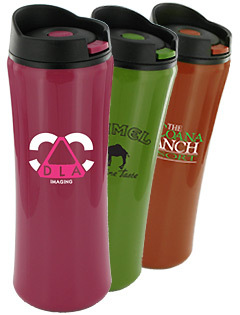 Travel mugs personalized with a club or corporate logo can be sold to customers for a profit. 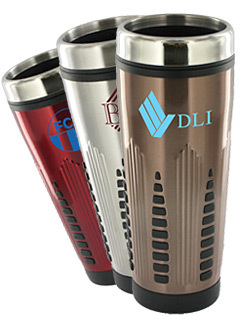 We offer stainless steel travel mug as well as a wide assortment of chrome, aluminum, plastic travel mugs, matte finish mugs and two toned travel mugs. 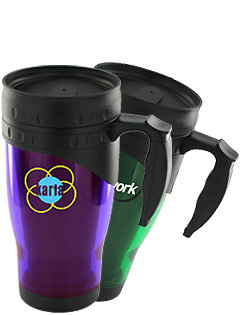 Our printed Travel Mugs can also be bought blank (unprinted).